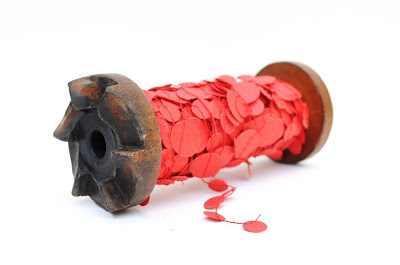 It's amazing how something so simple as paper dots can truly liven up a party! 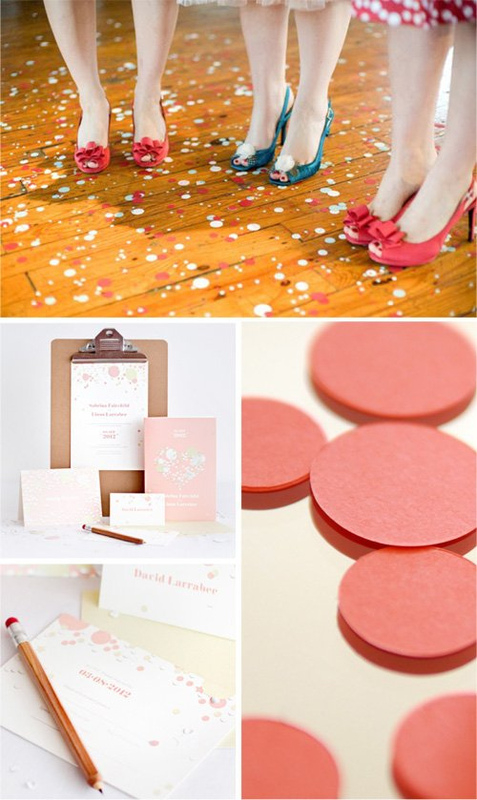 Below are some sweet little confetti inspirations for your next soiree. Cheers! I love the confetti garland. So pretty! confetti is so much fun! and I love the shoes in the first picture, so cute!! I've been to two weddings recently in Peru, and once the clock hits midnight they through confetti and streamers everywhere!!!! welcome, kathleen. have you seen the confetti-filled piñatas by confetti system? It's true: confetti makes it a party! I am such a sucker for a party-especially one that has explosions of confetti! Love the confetti post. So much fun color! Yay for confetti! I went to a Sigur Ros concert once and they poured confetti. It was slightly magical.